Big Blue's Online Carburetor: VW Birth Certificates for the bugs! Egad! Blogging with a 12-day old is tough work. I started this entry last Tuesday! 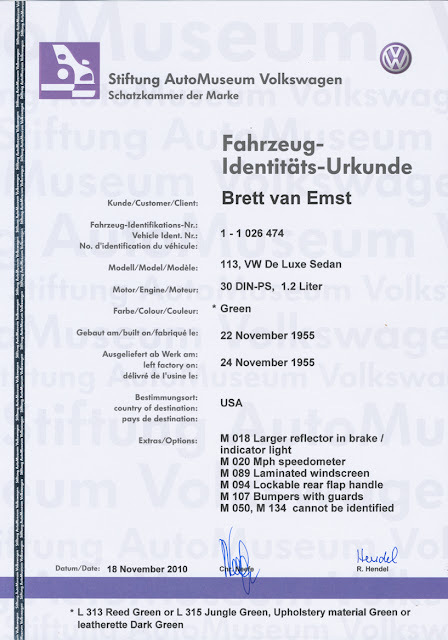 During the break last month before Oak arrived, I did manage to organize myself enough to do something I had been meaning to do for at least 2 years - track down a "birth certificate" for the Little Blue - the '63 bug. Since getting the '56, I decided it it was time to do it and it made sense to do it for both bugs at once. 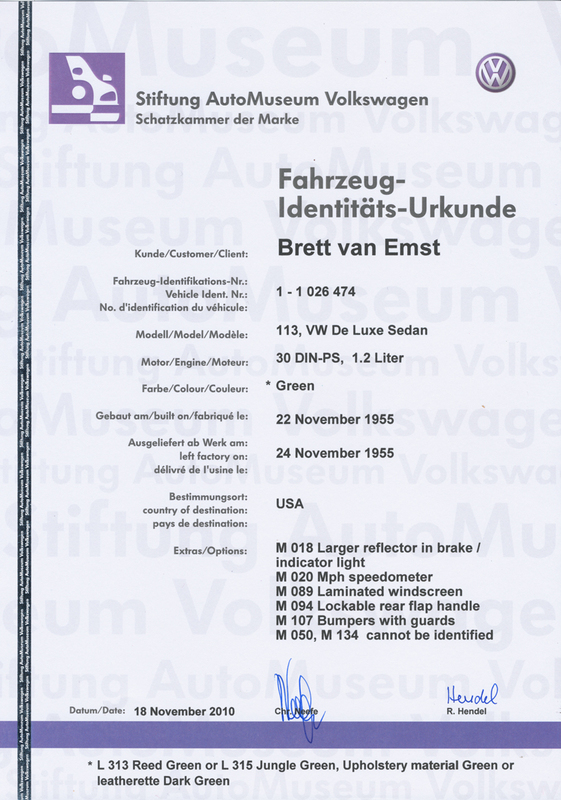 Then you go to http://automuseum.volkswagen.de/kontakt.html and fill out the contact info. The site looks like this. 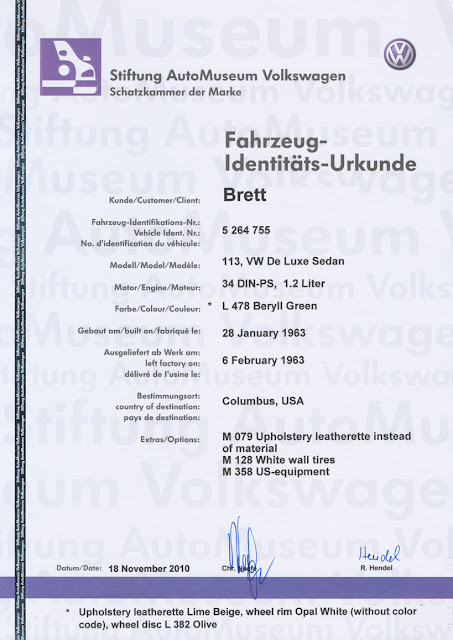 I would like to request that the Stiftung AutoMuseum Volkswagen research data on 2 old Volkswagen vehicles from the vehicle database and to draw up 2 vehicle identity certificates with the recorded data. 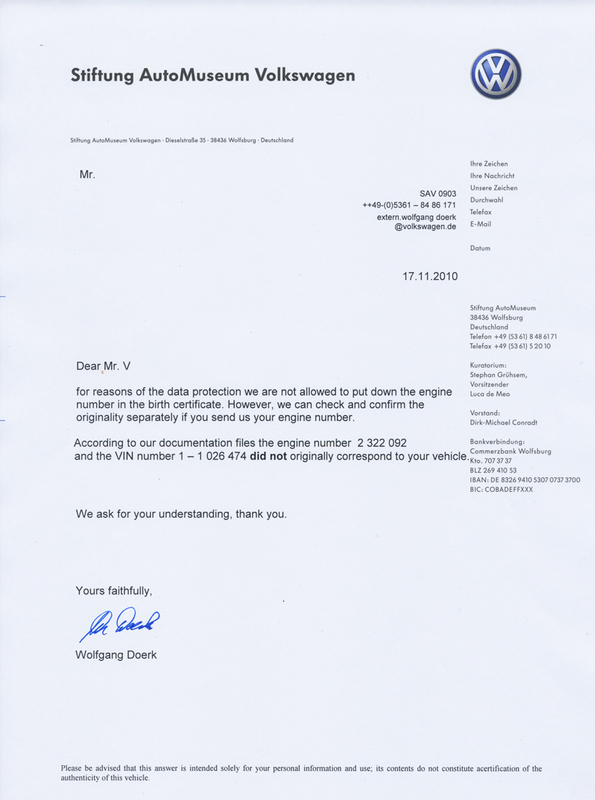 I also called my credit card to let them know a charge would be coming from Germany. I sent the above email on November 2nd, 2010. On 11-20, my card was charged $95.89 plus a $2.87 foreign transaction fee. Then, on 11-30, my certificates arrived! 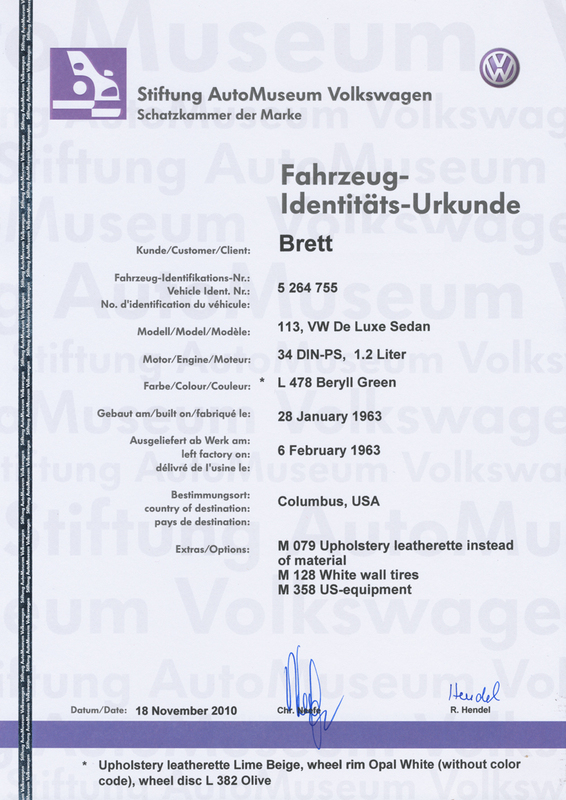 Here's the certificate for the '56. Looks like someone had a birthday about the same time Oak was born! Below is the one for Little Blue. Probably the most interesting thing to note is that the car was shipped to Columbus, Ohio (perhaps to Midwestern VW Corp). 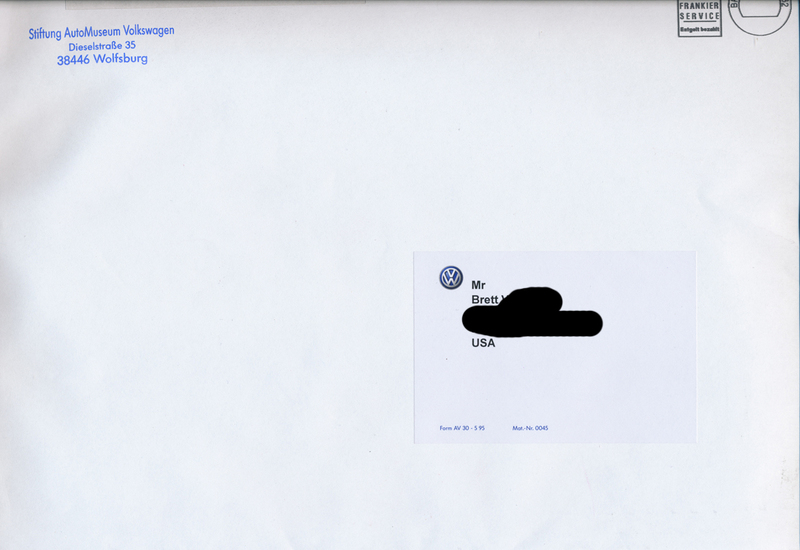 That shoots the theory that the guy I bought it from purchased it out here in the Bay Area as a new car. Most likely he bought it used. Either way, Little Blue has a birthday coming up! I'm not sure what I expected but there isn't really that much info here. 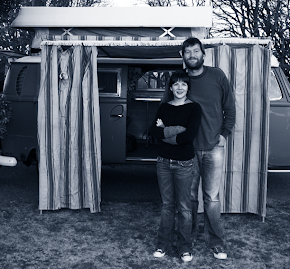 But, if you are interested in the history or your VW bug, there is no reason not to do this. It's pretty cool to fill in a few small gaps of info on the cars. Hey, at least you got the destination for one of them. 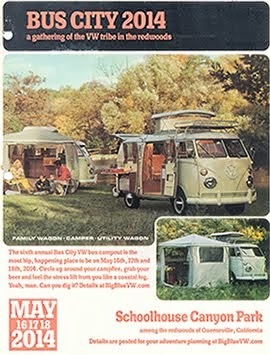 I've always taken "built on" to be the vehicle's birthday, but maybe it would make more sense to go by "left factory on". Kind of a date of conception vs. date of birth thing. What was your thinking? I hadn't considered, but I see your logic. On the bus, the M code marks the date the order was placed, correct? 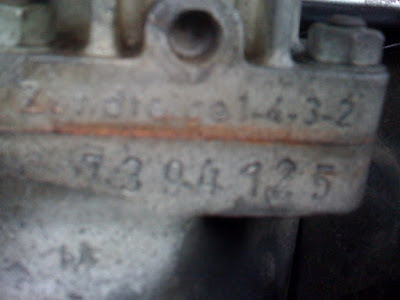 So that's a 3rd standard. I think "built on" works in this case. To continue with your analogy, the "left factory on" would be like leaving the hospital to take it home.